Back in 2012, Croydon producer Mala ventured out to Cuba, at the behest of Gilles Peterson and his Brownswood label as part of Havana Cultura, to soak in the culture, absorb the myriad sounds and, around that, produce an album that shone a light on those sounds whilst blending them with the UK tones that form the backbone of his music. Now, four years later, Mala has made another trip out to South America, this time to Peru. 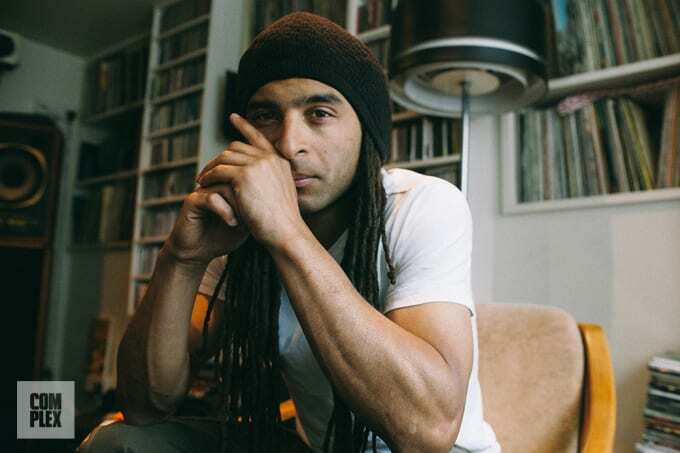 The Peru-inspired LP also started life as a Gilles Peterson-led project, though as Mala soon found out, it would take on a life of its own, becoming what is now the Mirrors album. In a sense, this is Mala&apos;s true debut. Not to take anything away from 2012&apos;s Mala In Cuba, but that felt more like a Havana Cultura album curated by Mala. On this one, however, he&apos;s taken full control of every last aspect of its creation. Mala visited remote communities, collaborated and jammed with musicians from all over Peru, each of whom possessed unique and varied talents—as well as a multitude of new and exciting instruments for Mala to experiment with. Bringing his own production skills to the table, the DMZ co-founder was able to supplement the rich Peruvian sounds with something that at once anchored the album to the UK, whilst giving those same UK listeners an accessible—but by no means compromised—introduction to the vast, eclectic and arresting world of Peruvian culture in all its forms. Complex speaks with the revered producer about his musical journey so far. We&apos;re here to talk about Mirrors, your new album inspired by Peru. Obviously you went out there quite a lot to record the album. You also did the Mala In Cuba album. What is it about South America that fascinates you so much? It wasn&apos;t really something I thought about, to be honest. The Cuba record came about based on a vision and an idea that Gilles Peterson had. Gilles invited me to Cuba to work on a project that he was working on and it eventually turned into just me going on my own to make an album. What happened then is it became clear quite quickly that I probably wasn&apos;t going to make the record that Havana Cultura may have hoped for. So Gilles ended up making an album separately, which allowed me to go off and explore and do my thing. One of the reasons I wanted to go was because not many people that I know from the world that I come from know about Peruvian music. They know about Machu Picchu, they know a little about the Incas and they probably knew about the guy playing a really bad version of a Bryan Adams song on Croydon high street. In terms of anything deeper than that, you probably don&apos;t know. I didn&apos;t know anything about Peru. When my partner and I met many years ago, it was something that we always wanted to do: go to Peru. It just happened that way. We have two children now so we all went for the first time as a family. So it was great to incorporate them into the process of making an album and have them in there as well. It was nice to be able to combine a family experience with making a record; my kids were 1 and 3 at the time. We took them up to Machu Picchu, we did everything as we would on our own and they had a great time. Those were the reasons why I chose to go; it wasn&apos;t because it was another Latin or South American country. I never feel like I have to try and be somebody else. How did you link up with Gilles and Brownswood in the first place? I think Gilles had come down to a few DMZ events years ago. Then obviously he heard about the whole movement. Gilles being the guy he is, he doesn&apos;t sleep on music. He was very active and very forthcoming and still to this day, he&apos;s the guy who&apos;ll just play music that he loves. I got invited a couple of times to go and guest on his radio shows. So there was always a mutual respect that we had for each other. Then obviously his history and his legacy is something I&apos;ve known about for years. You&apos;d have to ask Gilles why he decided to pick me out of everybody in the world that he could&apos;ve picked to take and do a project with him. As I say to everybody, I feel very blessed and very honoured that he would ask me. As cliché​d as it sounds, it really was a life changer—purely because that experience really dragged me out of my comfort zone. For the past seven or eight years of making music, it had pretty much been in the same way: in my studio, in my space, pretty much on my own, making music in my own way by sampling old records. I was never really interested in working with musicians. Not because I didn&apos;t feel there was anything to offer, I was just in a different place. So being forced to work with that level of musician—because on the Cuba record, working with the people that I worked with were Roberto Fonseca from Buena Vista Social Club—so you&apos;re talking about serious musicians. Roberto Fonseca himself is a solo artist, but if you hear him play, he really is some child prodigy genius. He was picked up quite early on to be an amazing artist as he developed. So he travels a lot—his band are quite worldly, in that respect—and what I find is that good musicians can play on anything at any time. I met different musicians in Peru and I&apos;d play them something of mine and, straight away, they could vibe on it. You&apos;ve gone from being in the studio alone to going over to Peru and working with loads of musicians. What was the adjustment like between those two processes? For me, it was like a school trip, going out there and exploring, asking people to play for me what they felt comfortable with. That&apos;s an important part of a relationship: making somebody feel comfortable so that hopefully they&apos;ll open up and be able to be themselves when they play. That&apos;s much more important to me than trying to capture a specific chord change or instrument. I didn&apos;t know what the album was going to be until I did all of the recordings and took it back home and started listening and stripping it down and rebuilding. Then the album starts taking shape that way, rather than me going out there with a preconceived idea of what it is I want. It&apos;s a daunting environment for me to be in because I&apos;m not classically trained in any way at all. So working with high-level musicians always makes me feel slightly inferior. But it&apos;s part of the learning process. It&apos;s OK to feel that humility and to understand your place. At the same, time you&apos;ve got to remember there&apos;s things that I do that I can bring to the table which is different from what they bring to the table and I hope it&apos;s a combination of those two worlds. My job is to marry the two together and try and present them in an interesting way. Do you think you&apos;ll be able to go back to working in a studio on your own? Oh, yeah. I love it! I do it most days, still. I love being me, at one in my studio with my green tea and my zoot or my Guinness [laughs]. It just means that for certain things... For example, on this record, there&apos;s a track called "Take Flight". I developed the track and something wasn&apos;t grooving right with it. I stripped all of the drums and, for some reason, I loaded up one of my soft synth drum machines. It had this really basic &apos;rock stadium&apos; preset that came with it. I started playing this pattern on it and it actually fitted really well. Straight away I started thinking about who I could get to play it. 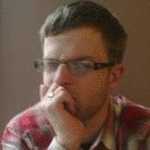 Whereas, before, I would&apos;ve looked for new sounds for it or I might have resampled it. It&apos;s funny because a couple of days previous I&apos;d been contacted by Richard Spaven—the drummer from Cinematic Orchestra—so I got in touch about him laying the drums down for it. I had the pattern, the groove, everything because I had a really specific idea of how I wanted it to sound. He sent it back a few days later and he just nailed it. You&apos;re playing at Sequences Festival in Bristol on July 23—what have you got in store for that? It&apos;ll be great. We&apos;ve got Mungo&apos;s Hi-FI providing the soundsystem for Deep Medi. Honestly speaking—and there&apos;s great soundsystems like Function One, RC1, Old Turbo—for me, Mungo&apos;s is perfect. There&apos;s something about it that they&apos;ve tuned just right for my sound and it doesn&apos;t sound like any other rig. They always say when I play on their soundrigs, my sets make the rig sound just as it should do. I don&apos;t know what it is they&apos;ve done, but it&apos;s just the right frequency for my sound. I&apos;m looking forward to that—we&apos;re playing outside in the day. You had the Deep Medi tour in the US earlier in the year. How was it? ​It was incredible, man! Funnily enough, the first American show that I did in New York was with Jammer, Plastician and one or two others. The first international gig I did was in Belgium. That was with Jme, Skepta, Virus Syndicate, Plastician. Me and Coki went and it was mad because we did quite a lot of shows. We had the same agent for a number of years—this is back in &apos;05—and there was quite a handful of us. I remember doing shows in Norway with Tinchy Stryder. There was a real parallel; even though we were in separate worlds, there was always this crossover. We&apos;d see each other on the roads all the time! I&apos;ve never really played that EDM sort of style of dubstep or the aggressive style, so I never really saw that side of it. I&apos;ve always kind of been in my lane and been bringing people through based on what I do. There&apos;s always been an audience for that in America. OK, it&apos;s not like we&apos;re playing to stadiums, but we play to concentrated and very enthusiastic audiences—whether it be 150 people or 1,000 people, you get that audience. So it was great to go back after so many years and do a 10-year tour to celebrate Deep Medi. It was great to be on the road with Kahn & Neek as well; they&apos;re really lovely guys and they make incredible music. Shout out Bandulu Records! The commercial world is finally realising that grime&apos;s not just a bunch of angry yutes shouting down the mic. Do you still keep an eye on grime? That&apos;s the thing: I love music, so I&apos;ve always listened to it. I think a lot of people in my scene have always listened to it because the music&apos;s so close and always has been. Especially in the early days, you&apos;d see a lot of guys with us in FWD>> listening to music. People like Tubby would be playing there. D Double E and Footsie would play. It wasn&apos;t a thing where everybody felt like they had to jump on tings. It wasn&apos;t like we were trying to shot beats. Everybody respected that they were different things but happening at the same time in the same city. I&apos;ve always respected that. It&apos;s nice because over the last year or so I&apos;ve been seeing some of the guys and I haven&apos;t seen them for a number of years. They&apos;re on their grind week in, week out, and I&apos;m on my grind week in, week out. It&apos;s been nice to have a conversation and remember 10 years ago and to see how far it&apos;s come for both worlds. It&apos;s incredible to see what&apos;s happening now for grime. Not that I&apos;ve ever been involved with the grime scene, so I&apos;m not trying to jump on it like that but, for me, the music was never supported the way it should have been from mainstream from the start. The commercial world is finally realising that grime&apos;s not just a bunch of angry yutes shouting down the mic. It&apos;s a voice, it&apos;s a cultural movement for a particular generation. It&apos;s great to see that it&apos;s doing its thing. More success to them! So what has the future got in store for you and Deep Medi? ​Deep Medi&apos;s 10 this year! We&apos;ll be releasing our 100th release this year, too. It&apos;s a big year for us, so we&apos;ll be doing a lot of shows around the world as well as just more records. This record has been a long time in the making so it&apos;s nice to finally be able to announce this project. I&apos;m deciding whether or not there&apos;ll be a show as well. I toured the Cuba album for a year. I started on the Oct 20 one year and my last gig was Oct 20 the following year. Apart from that, just more of the same. I feel very lucky to be still as active as I am this many years into what I&apos;ve been doing and still love it like I did when I first got involved. It&apos;s very inspiring for me to work with a lot of the youngsters that I&apos;m working with on the label to see what they&apos;re doing. It&apos;s also inspiring to see the grime thing moving the way that it has. It&apos;s inspiring to see people like Goldie celebrating 20 years of Metalheadz too; his Timeless album was released 20 years ago and he&apos;s still out killing shows. That&apos;s massively inspiring! I&apos;m almost halfway to that point. It gives me the confidence and the inspiration and motivation to remain focused, to remain uncompromised in the way that I make music. That&apos;s why it&apos;s great to work with Brownswood again on this album because they allow me to be myself. From the recording to me in my studio to the promotion of the record, I never feel like I have to try and be somebody else. That&apos;s been a very important part of my whole journey—having a true representation of what I&apos;m about, both on an intellectual level and a musical level.